As the concert turns 40, relive the music, the magic, the myth and the mud tonight with a guest-packed screening event of "Woodstock: The Director's Cut" -- now with extra footage, man. See Woodstock: The Director's Cut at the Walter Reade's anniversary screening. 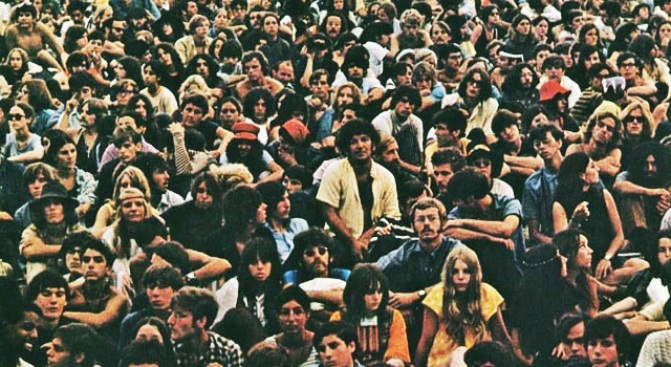 In honor of the epic concert's 40th anniversary, Michael Wadleigh's 1970 movie about the Festival That Changed America will screen at the Film Society of Lincoln Center tonight, as a star-studded audience (and you) looks on. Speaking of being there, the event's VIP list is packed with folks who were, from the film's director and a passel of producers to musicians from bands that played the event (Creedence Clearwater Revival, Santana, the Grateful Dead).